World Series of Fighting (WSOF) will weigh-in for its upcoming NBC Sports Network-televised event happening tomorrow (Sat., July 30, 2016) LIVE from Xfinity Arena in Everett, Washington. 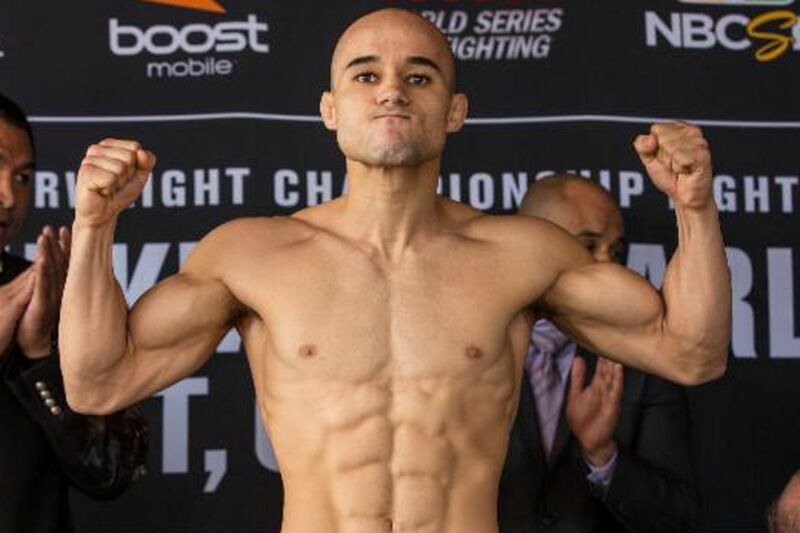 The fighters from WSOF 32: “Moraes vs. Hill 2” will tip the scale starting at 8 p.m. ET. MMAmania.com will deliver a live video stream above, as well as real-time WSOF 32 weigh in results updates for all scheduled bouts. WSOF weigh ins can be wildly unpredictable with fighters missing weight or being replaced on the televised card the day before the show; therefore, stay with us in case something unexpected happens again! Don’t miss MMAmania.com’s live coverage of WSOF 32: “Moraes vs. Hill 2” tomorrow night (July 30, 2016) live from Xfinity Arena in Everett, Wash., airing on NBC Sports Network!